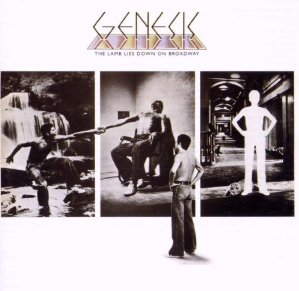 So ends the double album epic by the band Genesis, titled “The Lamb Lies Down on Broadway.” This 1974 release was the last record Genesis created with lead vocalist Peter Gabriel who wrote the story and most of the lyrics to tell the tale of Rael, a street punk who is mysteriously plucked from the streets of New York city to unwillingly inhabit and then transcend an underworld filled with personal challenges, freaks, creatures, and his own alter-ego, brother John. 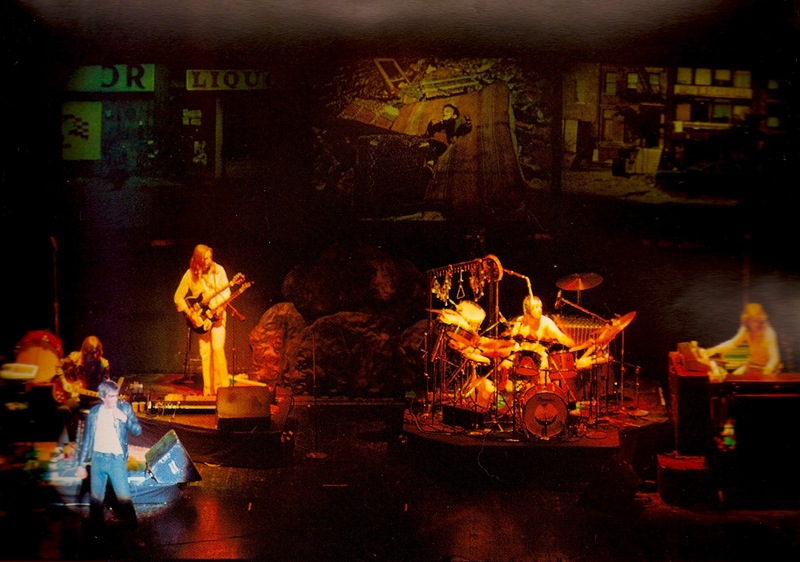 The Lamb was a true concept album, and the tour to support it was conceived as “rock theater” complete with bits of narration, a three screen slide show with over 1,000 images, costumes, props, and lighting effects. It was staged only 102 times, seen by few of the bands eventual followers, and was utterly unique in the world of rock ‘n roll. Several “classic rock” artists between 1967-1979 wrote concept albums, meant to be taken as “rock opera” or at least as something approaching theater. The Beatles “Sgt. Peppers Lonely Hearts Club Band” was taken as a concept album, and though in reality a loose collection of individual tracks, set the tone for the form as it would be attempted within the rock framework. 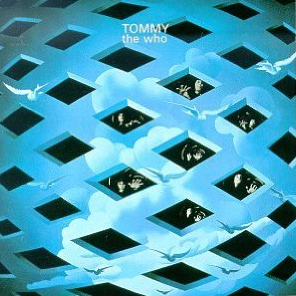 The Who‘s famous double album epic “Tommy” established the potential of rock theater even though it was not staged as such at the time. Seek out the Isle of Wight show by the Who from that era and while you will find their lead singer’s delivery forceful, there are no literal theatrical elements. At the time many rock bands, from the Who to Queen, Yes, and others, incorporated some elements of storytelling and some physical or projected imagery into their shows, but generally did not have sets and a cohesive presentation approaching Broadway theater. The lead vocalists from these bands were revered for emotive presentation of the individual songs, and were lauded for as expressive a presentation as possible. Theatrical yes, theater no. Enter Genesis, with Gabriel as lead vocalist, who had been donning costumes and acting out bit parts during their concerts since 1971. The Lamb was the logical extension of this approach, painstakingly assembled by Gabriel while secluded from the band, who wrote the music and worked to patch everything together with added lyrics and transitions. The end result is an oblique tale of Rael’s experiences in a “parallel universe”, which might be akin to “purgatory” or a waiting room between this life and the next. In order to escape from or transcend this realm, Rael survives a series of vignettes echoing the human experiences of imprisonment, helplessness, sexuality, disease, betrayal and despair. However one interprets the story and lyrics in the first two acts, the last is slightly more clear – Rael sacrifices his own interests to save his brother John, who then morphs into and merges with Rael himself. The union then frees Rael to become part of “it” which is here, now, and everywhere, ending the story on a spiritual plane. Did Rael die and finally make his way out of “hell?” Did he become a supreme being himself? Or, was the tale just Rael’s dream depicting the battle of good vs. evil raging in his own soul. This became the grist for many debates among fans of early Genesis, most of whom consider it to be the band’s masterwork, despite it’s acknowledged flaws. The production was staged in as grand a way as possible at the time, yet within the confines of a rock quintet presenting the material on stage. A slide show unfolds across three screens, allowing for over a thousand images to tumble by – some with artists renderings but most via photographs, presented as a running storyboard for the play. Gabriel was the only member of the band to “act out” the story, spending much of his time dressed as Rael, and hitting a high water mark after climbing into a bulbous rubber suit to depict the diseased “Slipperman” character. The show was presented 102 times, and besides a few short 8mm clips, it was never filmed. 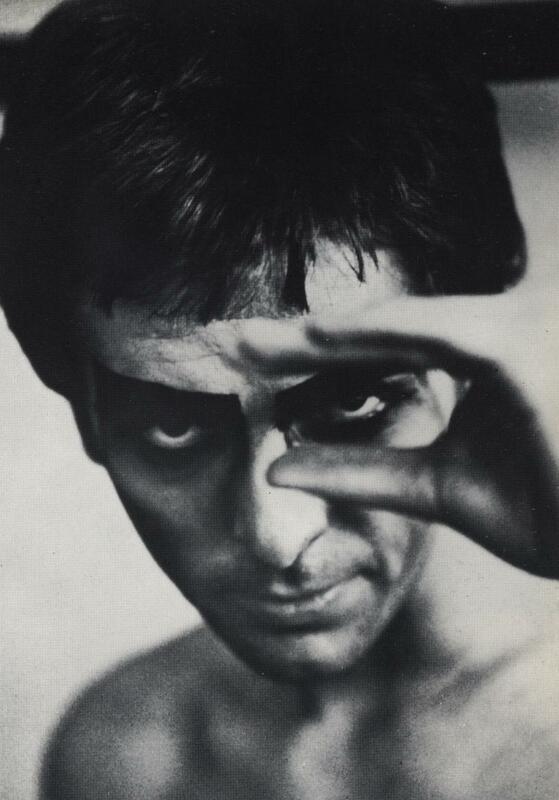 The specter of Gabriel being considered to be “the band” itself and probably the realization that this Lamb was as far as their brand of rock theater could go, led to Gabriel’s subsequent departure. Other progressive and classic rock bands at the time penned concept albums, but this Broadway melody was unlike any other – surreal, strange, and reaching high for meaning and impact. It’s not easy listening -later work written after Phil Collins took over vocal duties in addition to his role as drummer were much more accessible, and include top ten hits approaching “easy listening.” Any remnants of Gabriel or Collins acting out characters were gone by the 1980’s. Over the last dozen or so years, several tribute bands have attempted to recreate the experience of seeing Genesis live with Peter Gabriel. 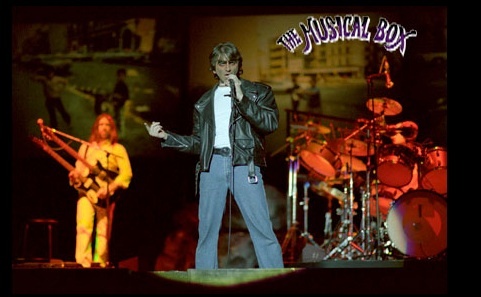 One such tribute band, “The Musical Box” officially obtained the 24 track master tapes from the Lamb recordings, along with the slides from the actual show. They worked for almost a year to rebuild the staging elements, costumes, and even instruments from the time, many of which were no longer available. Their production of TLLDOB has been staged before, and is now back, with dates planned around the world. If you have any affinity for the challenging music of early Genesis, and want to take a journey back in time to experience this bit of rock theater, it’s highly recommended. You will get a bit of the real, and the Rael.